New Zealand and other islands have experienced invasions of rats and other species, Europe has seen the arrival of diseases such as the crayfish plague: invasive species can put native animal and plant species on the brink of extinction. They often go undetected for a long time, or their damaging impacts are not immediately clear. 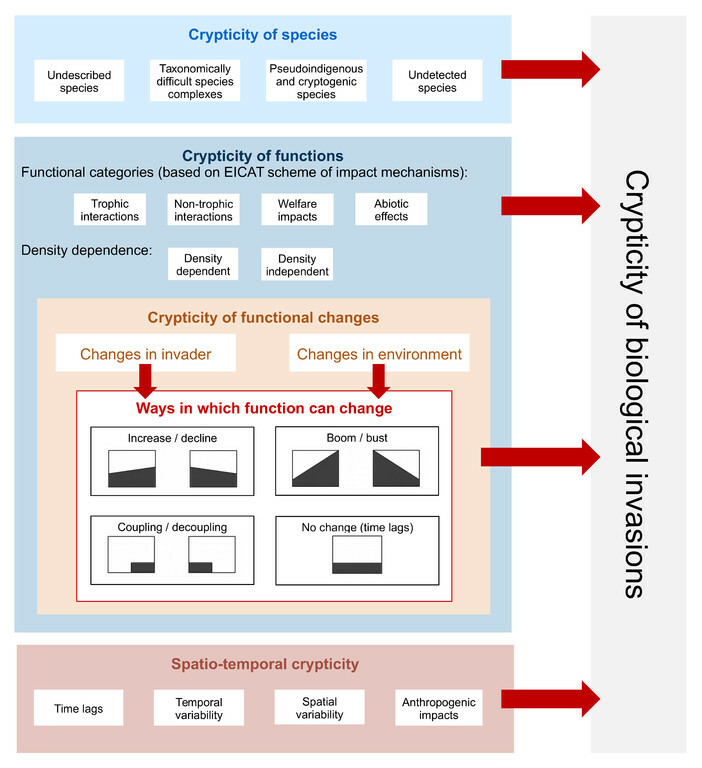 This phenomenon – referred to as crypticity – represents a huge challenge for the management of species communities and the conservation of biodiversity. This is the conclusion of an international team of researchers involving the Czech Academy of Sciences, Berlin’s Leibniz-Institute of Freshwater Ecology and Inland Fisheries (IGB), Freie Universität Berlin, Technische Universität Berlin, the University of Potsdam, India’s National Institute of Advanced Studies and the University of Vienna, Austria. Figure. 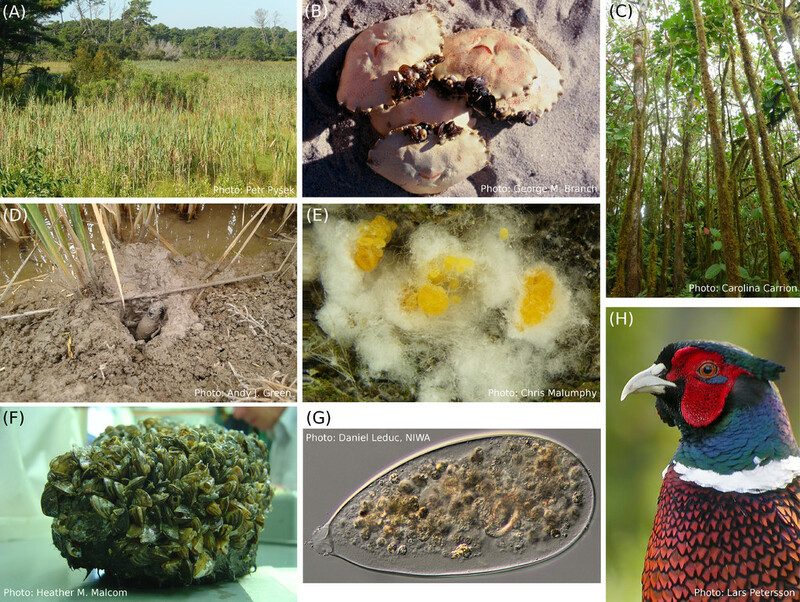 Examples of different forms of crypticity in invasive alien species. H) introduced pheasants (Phasianus colchicus) in the UK acting as reservoirs for caecal nematodes Heterakis gallinarum that caused population declines in the native grey partridge (Perdix perdix). 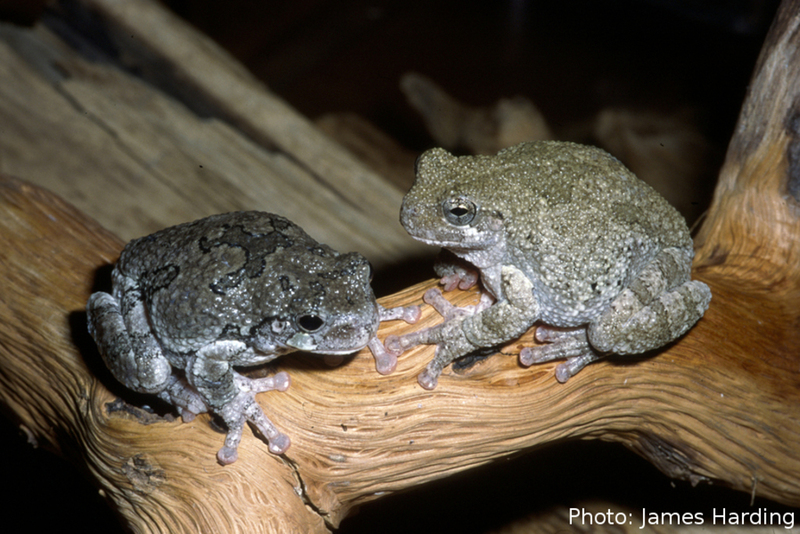 Whether an invasive species is quickly detected depends on its ecological properties, its new habitat, and the circumstances of its introduction. If, for instance, the imported species closely resembles a native species, genetic analyses are necessary to tell them apart. Many species also go undetected for a long time because they occur only rarely or populate habitats that are difficult to access – examples include belowground and aquatic ecosystems. The management of alien species is already on the political agenda, e.g. in the Aichi targets, the Sustainable Development Goals and an EU regulation on invasive alien species. At the same time, the authors of the study believe that crypticity has received too little attention so far. “We have developed a set of research methods and tools that will enable us to determine detrimental species and properties, as well as spatial and temporal changes, more effectively. Citizen scientists, for example, can provide support by helping researchers to find invasive species; while long-term monitoring and research help us to determine critical developments in good time,” stated Ivan Jarić, a researcher from the Biology Centre of the Czech Academy of Sciences and lead author of the study. Jarić and his colleagues are working to ensure their proposals are included in concepts for the management of alien species.